Curated by Adrienne Goehler, Berlin, expeditions in aesthetics and sustainability demonstrate artistic practices that contribute to the preservation of the planet, intend to influence conscious consumer behavior and be economically efficient. More than 40 artistic positions in which the boundaries between art, activism and inventions dissolve and the experiences and methods of environmental initiatives interconnect with artistic approaches are part of the exhibition that premiered in Berlin in 2010 and since then is touring internationally. 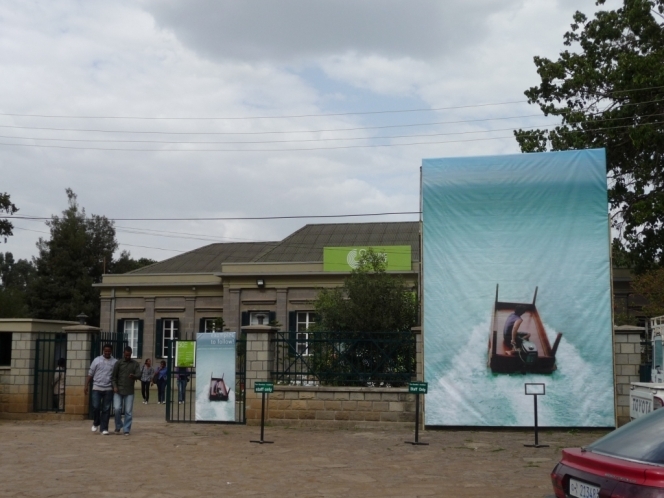 In Addis Ababa, a selection of these German and international artistic expeditions are shown in dialogue with Ethiopian positions. Organized jointly by the Goethe-Institut and the Heinrich-Boell-Foundation in Addis Ababa in cooperation with the German Federal Cultural Foundation. Supported by the German Embassy in Addis Ababa. Every day except Mondays from 10am to 5pm until 24 May 2012.